Friend of a Friend (2018) shows how networks around us can be put to use and taken advantage of. 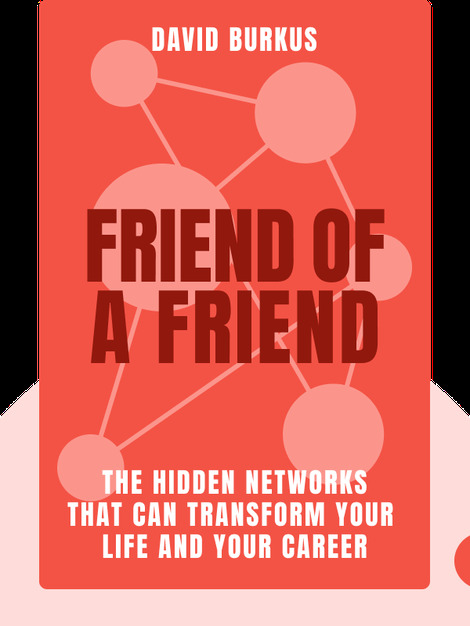 Networking is, of course, a crucial skill for professional success – but networks themselves go even deeper and aren’t just about making new contacts. Innovation, career development and business success all have their part to play, too. 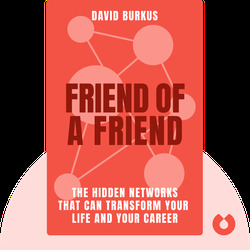 David Burkus is a popular speaker and author, as well as an associate professor of business studies. He writes regularly for the Harvard Business Review and has given several TED talks on business and management, which have been viewed by millions of people.